Visiting Austin with the kids? We’ve got 30 great ideas for fun family activities they’ll love, from swimming holes and food trucks, to kid-friendly live music and museums that welcome curious little explorers. Start planning your family vacay today! Courtesy of Big Top Candy Shop. 1. Let the kids run free at Zilker Park. Explore nature at Zilker Botanical Garden, Austin Nature & Science Center and UMLAUF Sculpture Garden and Museum. Then take a ride around the park aboard the Zilker Zephyr miniature train and blow off steam at the nearby playground. 2. Go sightseeing by land and water with Austin Duck Adventures, where you’ll ride an amphibious vehicle around town, including down historic Sixth Street and past the Texas State Capitol, before splashing into Lake Austin. 3. A local family tradition since 1948, the kitschy Peter Pan Mini Golf will delight kids and parents alike. Two 18-hole mini golf courses are filled with colorful characters (including a towering T. rex and Peter Pan himself) and challenging obstacles. 4. Little ones will love the Thinkery, Austin’s hands-on children’s museum. Located in East Austin&apos;s Mueller community, the Thinkery is equal parts science/technology center and children’s museum, with interactive exhibits and engaging activities. There’s also a playground across the street and ducks to visit at nearby Mueller Lake. 5. 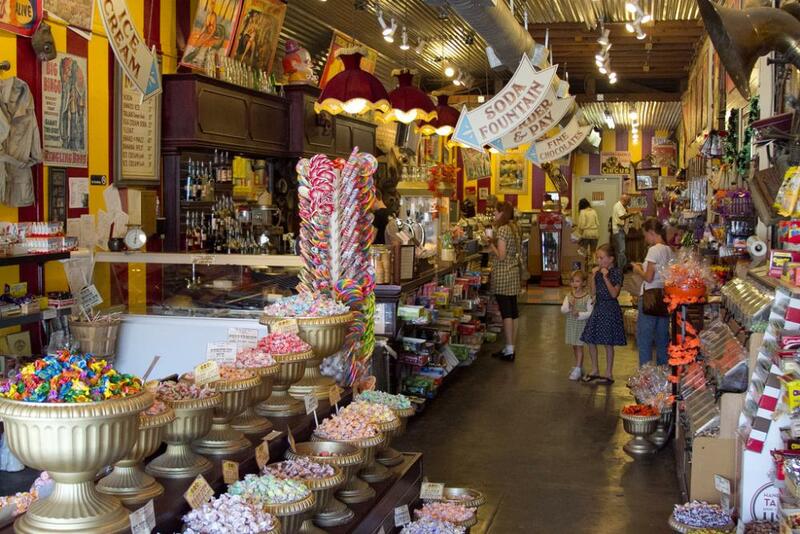 Take the family for a stroll down South Congress Avenue, where funky shops create a lively vibe. Take a family picture at the famous I Love You So Much mural and let the kids pick out penny candies at the circus-themed Big Top Candy Shop. 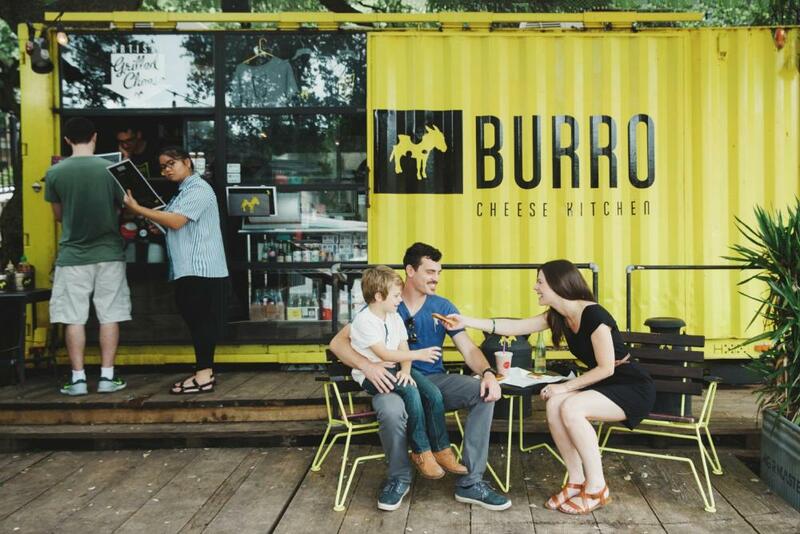 Burro Food Truck. Credit Geoff Duncan. 6. Treat your kids to a true Austin dining experience at food truck park The Picnic, where they’ll love the crunchy chicken tenders served up by The Mighty Cone and sweet treats from Hey Cupcake!, all enjoyed under shady pavilions. 7. Pack up the kiddos and blankets and head out to Zilker Hillside Theater to watch this year’s free Summer Musical, Disney’s The Little Mermaid, performed under the stars July 12–Aug. 17, 2019, Thursdays through Sundays. 8. Get wild at the Austin Zoo, where you’ll see more than 300 animals, including big cats, monkeys and native Texas wildlife. Nearly all of the animals at the zoo are rescues. 9. Lady Bird Lake is the perfect destination for family outings. The Ann and Roy Butler Hike-and-Bike Trail skirts along Lady Bird Lake for 10 miles, with amazing downtown views and a well-maintained trail that’s easy on strollers and children&apos;s bikes. Or get out on the water with a guided kayak tour from Austin City Kayak Tours or Rowing Dock. 10. 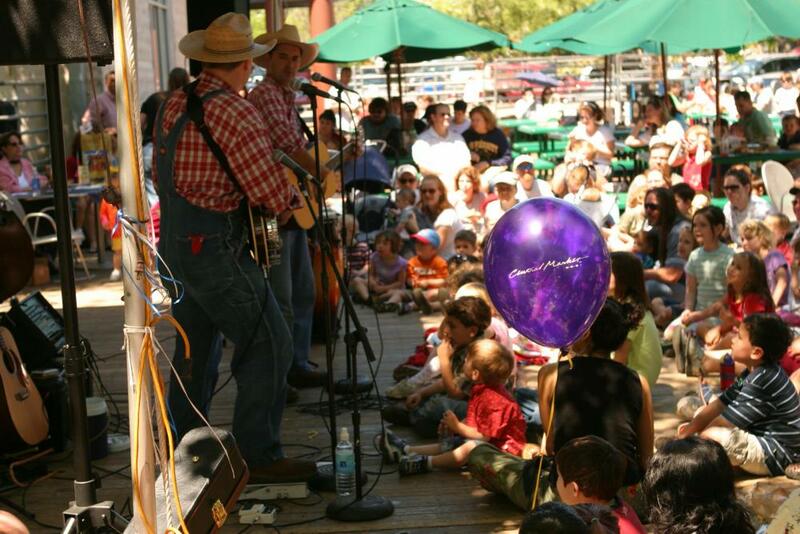 Some of Austin’s best live music series are also family friendly. Stop in the Oak Garden at Güero’s Taco Bar on Wednesdays for the Texas Radio Live series presented by Sun Radio. Every Thursday night from April through mid-September, Shady Grove and Austin City Limits Radio team up to present Unplugged at the Grove, featuring local musicians. Austin City Limits Radio also hosts Blues on the Green, a summertime concert series held in Zilker Park. Courtesy of Nland Surf Park. 11. Catch a wave at NLand Surf Park, an inland surfing destination that’s the only one of its kind in North America. Everyone from novices to pros will be challenged by the waves generated here, and instructors from the NLand Training Center are on hand for coaching. 12. You can’t leave Austin without experiencing at least one of its beloved barbecue joints. Stubb’s Bar-B-Q is known for its Sunday Gospel Brunch, featuring a mouthwatering buffet of Southern-style foods and rousing live music. 13. Take a dip in one of Austin’s spring-fed swimming holes, located in the heart of the city. Barton Springs Pool in Zilker Park maintains a refreshing temperature of 68–70 degrees year round, and has plenty of grassy areas to spread out. Deep Eddy Pool is the oldest pool in the state, and shows poolside movies in the summer. 14. Immerse your family in Texas history at the Texas State Capitol (which offers free tours) and the Bullock Texas State History Museum (located just one block north of the Capitol). The Bullock contains three floors of interactive exhibits, the Texas Spirit Theater, an IMAX Theatre and the Story of Texas Cafe. 15. Explore Austin on two wheels with a rental from Barton Springs Bike Rental, which also offers guided tours. Bike along the Barton Creek Greenbelt and discover Gus Fruh, a swimming hole that features the famed Urban Assault limestone rock wall, a favorite of climbers. BookPeople Storytime. Credit Tomoko Bason. 16. 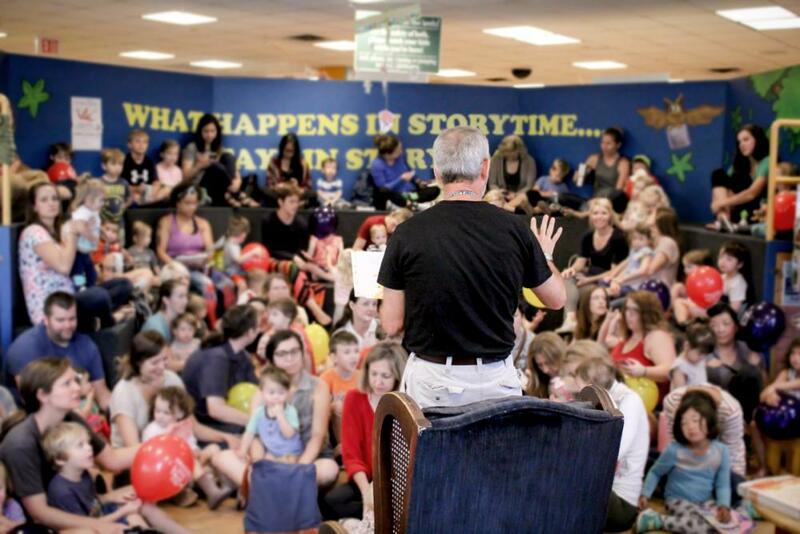 For a low-key morning downtown, head to story time at BookPeople, the largest independent bookstore in Texas. Afterwards, walk across the street and spend some time at the playground on the rooftop plaza of the flagship Whole Foods Market. 17. From April through October, don’t miss the sunset show at the Bat Bridge, when more than one million Mexican free-tailed bats pour into the evening sky from beneath the Congress Avenue Bridge. Watch from the bridge, stake out a spot at the Statesman Bat Observation Center or view the bats from the waters of Lady Bird Lake with Lone Star Riverboat or Capital Cruises. 18. Harness the cowboy spirit and giddyup over to nearby Texas Hill Country for a horseback ride around Lonestar Ranch with Texas Trail Rides, where you’ll pass by picturesque spring-fed lakes, across Onion Creek and along wooded trails with your new horse friends. 19. Head to the The Hideout Theatre on Sundays for Hideout Kids, when an improv troupe acts out a new and unique story based on the suggestions of the kids in the audience. Children love interacting with the zany actors, and are encouraged to jump onstage to join in the fun. 20. Hike up Mount Bonnell and get a panoramic view of the Austin area, including Lake Austin. The steep climb up stone steps makes it a relatively short hike, with an amazing reward at the top. Why not pack a sunset picnic? Courtesy of Round Rock Express. 21. Give the kids a workout at the Austin Bouldering Project, the world’s largest bouldering gym, where they can safely climb to their hearts’ content. There is no minimum age — if a child can walk, they can scamper up a wall. And the floor is padded to protect climbers who take a tumble. 22. 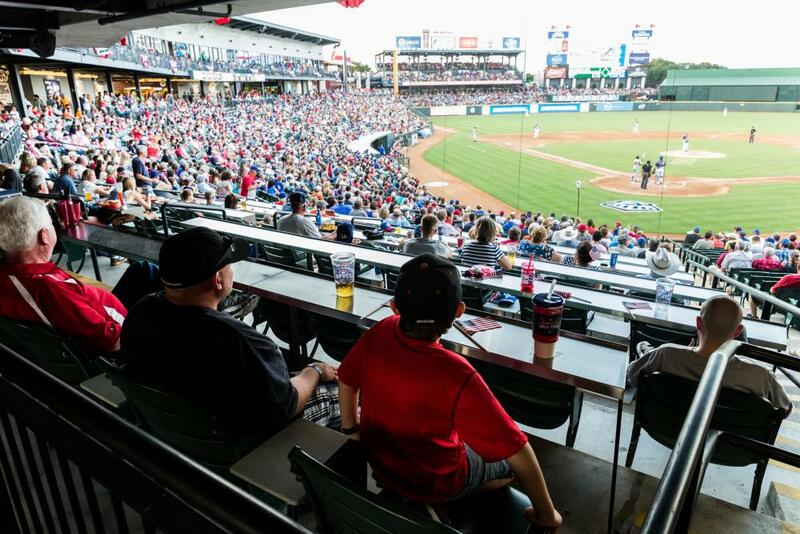 Get into the swing of baseball season and catch a game played by the Round Rock Express, a minor league affiliate of the Houston Astros that calls Dell Diamond home. The family-friendly ballpark features a kids’ fun zone, plus theme nights and fireworks on Fridays. 23. For an adrenaline rush coupled with a beautiful view, Lake Travis Zipline Adventures offers five pulse-pounding ziplines (one being the longest in Texas) to whisk your brood away on an exciting outdoor adventure. 24. Pinballz boasts the largest selection of arcade games in Texas, with more than 150 pinball machines spread across three Austin-area locations. Introduce your kids to pins, or play all sorts of arcade games, both new and classic. 25. Mayfield Park is home to incredible gardens and colorful preening peacocks, both of which make for wonderful photo ops. It was originally an early 1900s summer retreat for the family of prominent Austin politician Allison Mayfield. 26. Catch the family-oriented Sunday brunch at Cherrywood Coffeehouse, where parents can sip mimosas while the kids get up and bust a move to live music performed by beloved local children’s entertainers. 27. Cool off underground during the all-ages Adventure Tour at Inner Space Cavern, where kids will delight in uncovering fossils and learning the difference between stalagmites and stalactites in one of Texas’ best-preserved caves. Afterwards, search for gemstones in the outdoor mining area. 28. Central Market North Lamar is a grocery store and more. Grab a healthy snack in the cafe and listen to live music on the sprawling outdoor patio. Just steps away is a large playground connected to a park that the kids will love. 29. At Alamo Drafthouse, you can watch a movie while ordering food and drinks right from your seat (there’s even a kid’s menu). Check out the Alamo for All schedule for screenings geared to families with small children. 30. Experience a performance at ZACH Theatre, the longest-running theatre company in the state of Texas. Check out the Theatre for Families series, with productions sure to delight your little ones.